This Great Horned Owl nest is one of two that are on property owned by the city of Louisville, in Colorado. Great Horned Owls frequently nest in whatever they find suitable. They will nest in an abandoned hawk, eagle, crow or raven nest. They will also nest in man made structures (below left). As of March 20th, a pair of owls have been on this structure. Normally Barn Owls in Lafayette, Colorado regularly begin laying eggs in February, but sometimes she lays her eggs in March. Watch below to witness the owls in real time. We are proud to announce a partnership with the City of Louisville, Colorado on this project. 1) With the exception of the Snowy Owl, the Great Horned Owl is the largest and heaviest owl found throughout much of North America. 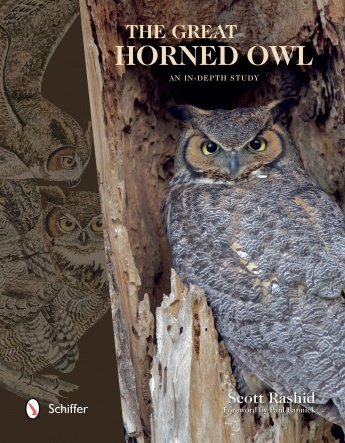 2) Great Horned Owls are one of the earliest nesting birds in North America. It is common to find Great Horned Owls nesting in January. But frequently being nesting in February and March in Colorado. 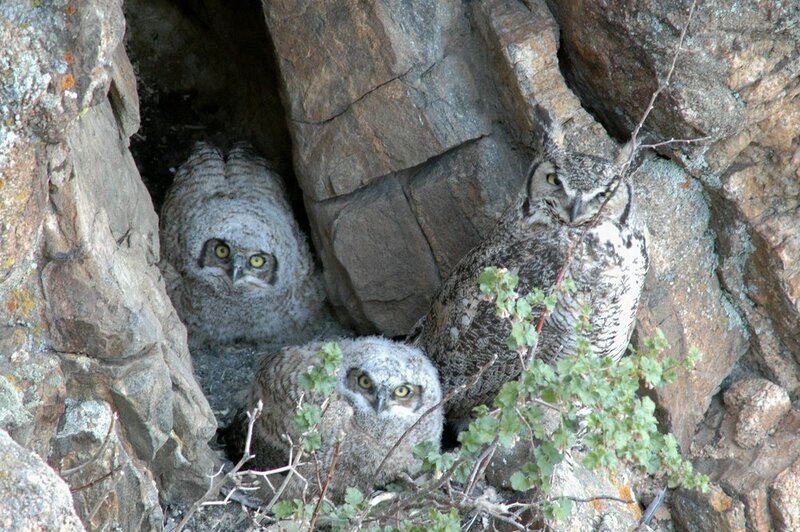 3) Female Great Horned Owls begins incubation as the first egg is laid. She can lay as many as four eggs and raise four owlets, however two to three owlets are average. 4) Incubation lasts about 35 days. Both birds tend to the nest, but the female does most of the incubation. 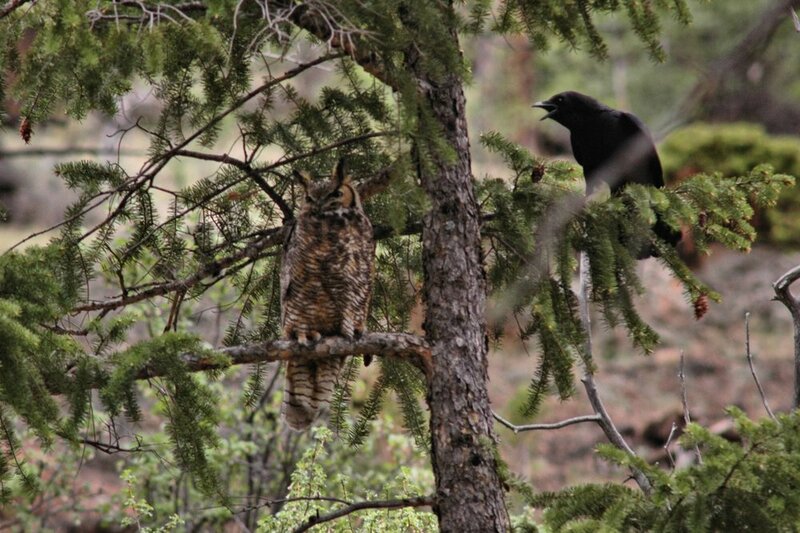 5) Great Horned Owls feed upon the widest variety of prey items of any owl species. Great Horned Owls preferred prey are lagomorphs (rabbits and hares). But also feed upon insects, reptiles, including lizards and snakes, shrews, mice, vole, rats, squirrels, including red, fox, gray, rock and grounds squirrels. They also have been know to catch animals as large as half-grown raccoons, house cats and small dogs. As for birds, they prefer game birds, such as quail, pheasants, grouse and turkeys. But also take, loons, grebes, shorebirds, waterfowl, wading birds, warblers, finches, sparrows, nighthawks, poorwills and the like, and birds of prey including hawks, falcons, owls and kites. 6) Young Great Horned Owls remain on their nests for varying lengths of time, depending upon where the nest is and what it is made of. If the nest they have chosen is well constructed and in a safe place, the owlets may remain on it for up to four or five weeks before fledging. 7) Young Great Horned Owls can remain with their parents until the following nesting season begins, but often leave their parents by mid-to-late summer. This book was written by CARRI Director Scott Rashid and can be purchased on Amazon and bookstores everywhere.